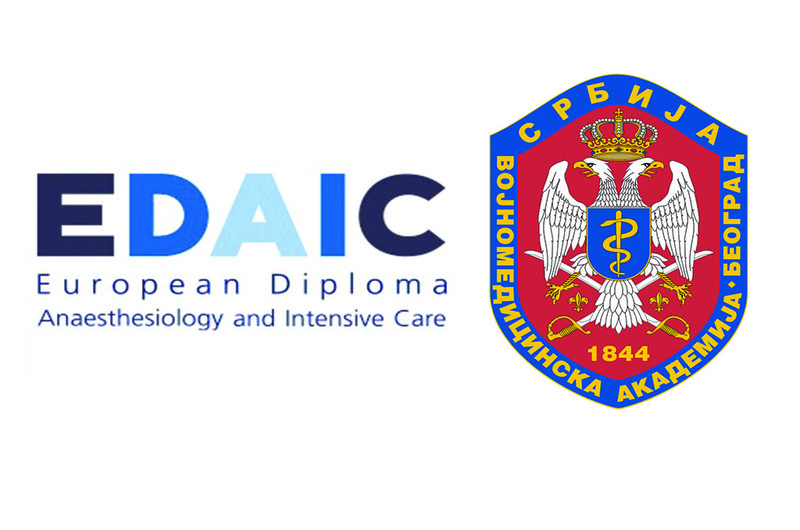 The written part of the exam for the European Diploma in Anesthesiology and Intensive Care EDAIC was held on 19 September 2015 at the Military Medical Academy, which is one of Europe's accredited centers for taking the international exams. Four candidates from Serbia and the region took the first part of EDAIC exam covering the relevant basic sciences and clinical subjects appropriate for a specialist anesthesiologist. The exam is a part of the process of obtaining the European diploma which is considered a special qualification in this branch of medicine and is organized by the European Society of Anesthesiologists. Diploma provides the necessary knowledge framework, as well as a support for learning, teaching and raising professional standards in anesthesia.